Richard L. Ballard was the Director of Systems Management, Integration and Coordination and Assistant Deputy for International Activities and head of Army Aviation International Programs in the Arm's Office of the Assistant Secretary for Research, Development and Acquisition. Born in Lindside, West Virginia, Ricard L. Ballard graduated from Virginia Polytechnic Institute in 1950 wit a degree in aeronautical engineering and went on to earn a M.S. degree in the same discipline at New York University in 1954. He was a graduate of the Industrial College of te Armed Forces and also attended John Hopkins University. He was an early and defining member of the American Helicopter Society, which honored him in 1990 as an AHS Fellow. During his career, he played active roles in the Army Aviation Association of America (AAAA), which awarded him the Robert M. Leich Award, the American Institute of Aeronautics and Astronautics (AIAA) and the Association of the United States Army. Mr. Ballard, who began his long career in aviation at the Grumman Aircraft Engineering Corporation in 1950 and later the Martin Company, was drafted by the Army in 1954 and served as an engineer at Aberdeen Proving Ground before assuming a wide range of responsibilities at the Pentagon. He was hired by the Army Research Office (ARO) of the Office of the Chief of Research and Development to help establish an Army aviation research and technology program. During the next 30 years, he had a role in virtually every Army Aviation Technology Base program as it matured into the spectrum of 6.1 Research, 6.2 Exploratory Development and 6.3 Advanced Development programs. Early programs included the tilt-duct Bell Aerospace X-22, the tilt-prop curtiss Wright X-19, and the lift engine Lockheed XV-4 demonstrations. He initiated the action that led to the Army-NASA Cooperative Agreement on Rotorcraft Research that continues to this day and he was responsible for initial Army participation in the NATO Advisory Group for Aviation Research and Development (AGARD). During the 1970s, he articulated the need to lay the technology base groundwork for the next generation of Army air-demonstrator programs, among them the XV-15 Tilt Rotor, the Advancing Blade Concept (ABC), the Advanced Technology Demonstrator Engine (TDE), the Rotor System Research Aircraft (RSRA), the Advanced Composite Aircraft Program (ACAP), the Advanced Digital Optical Control System (ADOCS) and the Modern Technology Demonstrator Engine (MTDE). He led efforts to secure Army, NASA and DARPA funding for the Heavy Lift Research Vehicle and pursued Congressional support for multi-year procurement of the General Electric T700 engine, the Sikorsky Black Hawk and the Boeing Chinook helicopters. His technology base programs made possible the launch of the Army's Light Helicopter (LHX) program, later the RAH-66 Comanche. 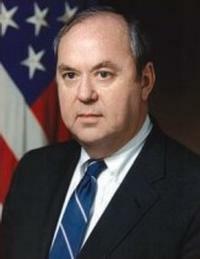 A visionary for international cooperation, he began studies in 1984 for the common international programs, Finally, Mr. Ballard played a key role in the establishment of the JVX program (the Bell-Boeing V-22 Osprey) with the Army as the executive agency. The program was later transferred to the Marine Corps when the Army, against his wishes, declined to continue.